Grace is a theme that Bono latched onto in his later years. Grace can have many meanings. The grace of god, someone's name and simply being in someone's 'good graces'. With this song from All That You Can't Leave Behind, grace is possibly best described as a character that has an empirical quality about them, almost godlike. "There are a couple of my favourite people rolled into that lyric but the most important thing is that they personify my favourite word in the lexicon of the English language. It's a word I'm depending on. The universe operates by Karma, we all know that. For every action there's an equal and opposite reaction. There is atonement built in: an eye for an eye, a tooth for a tooth. Then enters Grace and turns that upside down. I love it." 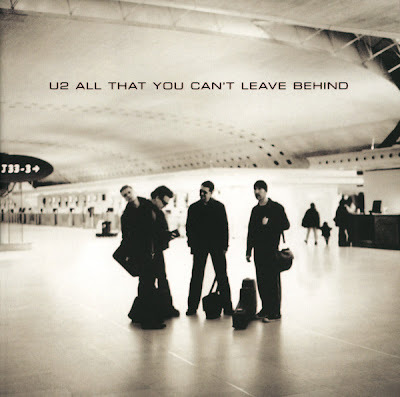 Check out some other song lyrics from All That You Can't Leave Behind, including the mega popular Beautiful Day" the song written for singer Micheal Hutchence, "Stuck in a Moment You Can't Get Out Of" and the live fan favourite "Elevation".